The project came about through lively discussions with the author of this book, Professor Tamar Garb. We compared already-known photographers and also discovered a wealth of new practitioners. This led first to the proposition of an exhibition, since no significant showing of such a range of contemporary photography from South Africa has so far been seen in the UK. I have been to see this show several times and it has left me profoundly depressed. 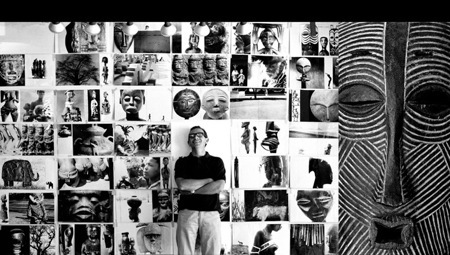 The first opportunity that South African photographers get to be honoured at a major London show and the curators, by an intellectual sleight of hand and the enormous power they have to define ‘art’ – in their ludicrously narrow terms – manage to strip out almost every single iconic photograph to emerge from South Africa since the middle of the last century. The only iconic shot in this show that I am sure will still be viewed with instinctive visual passion in 30 years time is Pieter Hugo’s Hyena Man and that was photographed thousands of miles away in Nigeria. 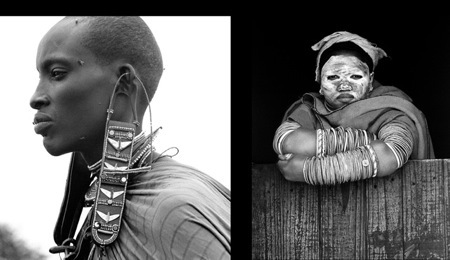 South African photographers, all of whom live and work in the country and whose images were made between 2000 and 2010. So there go the dead ones and those whose careers led to emigration or those who took no images in the last decade because maybe they have taken up painting. Whatever, it’s absurd, it would be like excluding Chopin from a history of Polish music because he is dead and he lived and worked in Paris and you decided that you only wanted to look at Polish music composed over the last ten years while making frequent curatorial references to history – of course! You end up with such a tight artificial ‘frame’ that no light shines through. Gone are the stunning images produced by Jurgen Schadeberg and the black photographers he mentored at Drum magazine, gone is the critically important work of Ernest Cole although he gets a showing in the catalogue, gone are the arguably most important ‘struggle’ images ever taken, of the massacre at Sharpeville (demoted to photo-journalism by the curators), gone is the exploration of colonialism in the work of Adam Broomberg and Oliver Chanarin, stripped of their nationality by the curators because they reside in London, no sign of the soulful documentary work by Bryan Heseltine, gone are the iconic first images of Twiggy taken by Barry Lategan not to mention Barry’s work for Vogue, gone is the fashion photography, portraiture and documentary work of Paris based Koto Bolofo, the only black South African photographer to make it on the international stage as a fashion photographer, gone are the portraits by the London based Jillian Edelstein and her book ‘Truth and Lies’, the only female South African photographer to be at the top of her field, gone are all the Sam Haskins books produced in Johannesburg, including African Image, although David Goldblatt does mention Sam in an interview with Professor Garb in the appendix, an acknowledgement that professor Garb deftly ignores. The curators set themselves up as custodians of ‘art photography’ but the images in this show were not chosen for their photographic power but instead there is a painfully self conscious new aesthetic which confuses documentary, art, literature and a contemporary art photo conformity. A sort of salon of the avant garde. Pages and pages of text justify thinking while one searches in vain for the powerful images. Overall it’s a tragedy. I have seen wildlife photography from South Africa which is more compelling and memorable than this exhibition but the curators have expressly said, that doesn’t count. Of course, as elsewhere, many different forms and genres of photography exist in South Africa, from photojournalism to advertising and from wildlife to sports. What concerns this publication and exhibition, however, is largely in line with the V&A’s focus on the art rather than the technology or practical application of photography. This is also the predominant criterion of the Museum’s permanent collection (begun in 1856, the oldest and one of the most important museum collections of photographs in the world) and its exhibition programme. Good luck! I don’t think history is going to be very kind to their curatorial dictate. This show not only manages to exclude all the iconic images from the history of South African photography it also frames the whole genre of struggle photography in a way that manages to be both politically and humanistically naive – which amounts to a double tragedy. 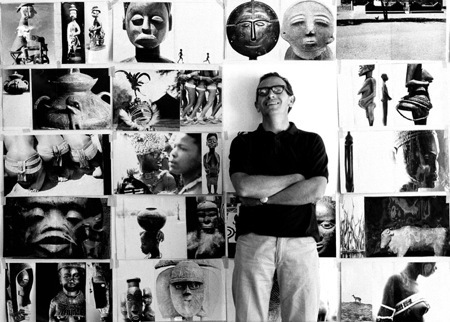 As an example and reminder of the work which they left out; below is a selection of images* produced by Sam in South Africa**, in the 60s. Whether the curators like it or not – this is South African photography – at its most influential and iconic. When Susan Sontag visited South Africa just before her death in 2004, she reminded the South African photographers that there was more to local photography than images of the struggle and pointed out that photography was also an art form in its own right. Sam wasn’t there to hear her speech but then he didn’t need the lesson. ** Apart from the cover shot from ‘Haskins Posters’ with the model’s legs tucked up, taken in Sam’s London studio in 1971 and the model peeking out from the gabled entrance which is from the 1997 Pentax calendar shot in the Cape. The black ‘T’ element used to frame the image spread prints for the NPG show were the first and only time that Sam used this particular graphic framing mechanism for exhibition prints although this layout treatment had an important influence on the subsequent project ‘Fashion Etcetera’, his last book published in 2009. You are currently browsing the archives for the Opinion category.